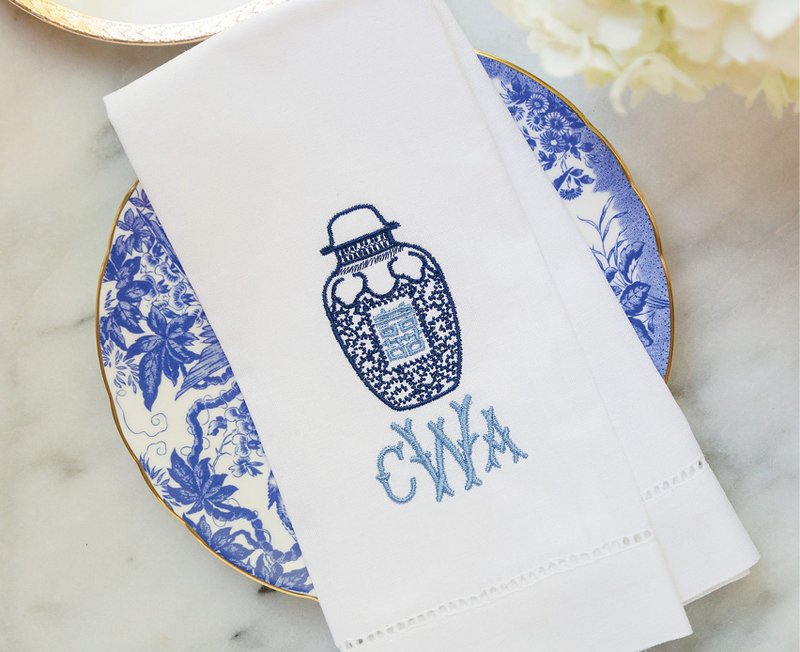 Monograms are a staple of Southern living and Christine Wilson wants to make sure they stay that way. Christine, who hails from Richmond, Virginia, and moved to Charleston after marrying her Lowcountry born-and-bred husband, founded her online stitchery shop, South of Libbie (@southoflibbie), to keep the tradition alive and well. “I love family history,” says Christine, “and a passed down monogram is an intriguing way to honor your family.” She recalls that whenever her mother or grandmother held a family dinner, the table was impeccably set with china, silver, and embroidered linens, but never in a “stuffy” way. “They set the table their best to show us how important we were to them,” she says. Pick from an extensive selection of existing designs or share your custom monogram or crest (the same ones you’re putting on your save-the-dates or invitations) for Christine to digitize and recreate in stitching. Turnaround time depends on the complexity and size of the order. And yes, Christine tells us, an online wedding registry is in the works. For brides, it all adds up to getting yourself set for your next chapter, new initials included. 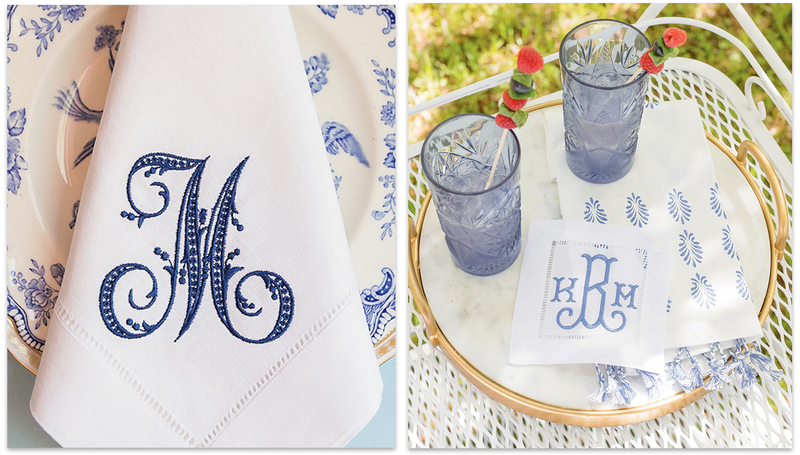 PRO TIP - If creating monogrammed napkins for your entire reception isn’t in your budget, consider ordering just enough to dress the head table.